A vivid, moving and passionate story of love and redemption set in the gloriously rich landscape of Australia&apos;s Hunter Valley. Brooke Kingston is smart, capable and strong-willed, and runs her family&apos;s property with dedication and skill. More at home on horseback than in heels, her life revolves around her beloved &apos;boys&apos; - showjumpers Poddy, Oddy and Sod. Then a tragic accident leaves Brooke a mess. Newcomer Lachie Cambridge is hired to manage the farm, and Brooke finds herself out of a job and out of luck. But she won&apos;t go without a fight. What she doesn&apos;t expect is Lachie himself - a handsome, gentle giant with a will to match her own. But with every day that Lachie stays, Brooke&apos;s future on the farm becomes more uncertain. Will she be forced to choose between her home and the man she&apos;s falling for, or will the very things that brought them together tear them apart? 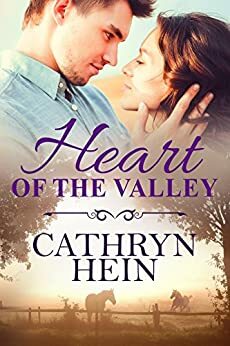 Cathryn Hein is a best-selling rural romance and romantic adventure author whose novels have been regular finalists in the Australian Romance Reader Awards. A South Australian country girl by birth, she loves nothing more than a rugged rural hero who's as good with his heart as he is with his hands, which is probably why she writes them! Her romances are warm and emotional, and feature themes that don't flinch from the tougher side of life but are often happily tempered by the antics of naughty animals. Her aim is to make you smile, sigh, and perhaps sniffle a little, but most of all feel wonderful. Cathryn currently lives at the base of the Blue Mountains in New South Wales with her partner of many years, Jim. When she's not writing, she plays golf (ineptly), cooks (well), and in football season barracks (rowdily) for her beloved Sydney Swans AFL team. Discover more about Cathryn and her books at cathrynhein.com. Loved the gentle romantic man in this story and the happy ending all good.love the setting for the book and all it involved. 5.0 out of 5 starsAussie rural romance -- Read it! If I didn't know Cathryn Hein is a lovely person, I'd think she makes me cry on purpose! "Heart of the Valley" is a wonderful, intensely emotional read. Brooke and Lachie are real people. Not perfect, but genuinely nice, and as a reader I really, really wanted their happy ever after. The country setting is as real as the characters, and described with just as much love. Very much enjoy Cathryn Hein books. I enjoyed this as it was really easy to read. Even if you know nothing about horses as I do, it is easy to understand. I enjoyed the bit of psycho trauma included as well. A good holiday read! I found this to be an enjoyable read, easy to read, well written with a good pace, interesting characters and story line. I would recommend it for anyone wanting romance mixed in with life in the countryside! I would also recommend Hein's other books. Hein brings the colourful world of eventing to life in this delightful romance until you can smell the horses, feel the adrenalin rush.